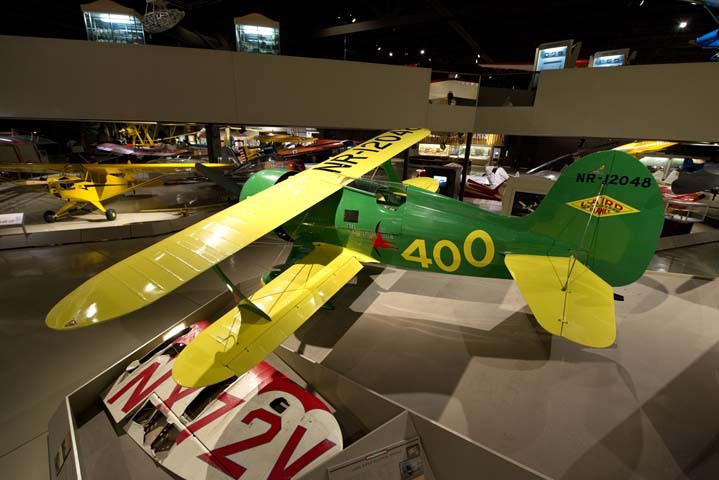 This airplane is a full-size replica of the 1931 Laird LC-DW300 Super Solution racer, winner of the 1931 Bendix Trophy race, piloted by Jimmy Doolittle. 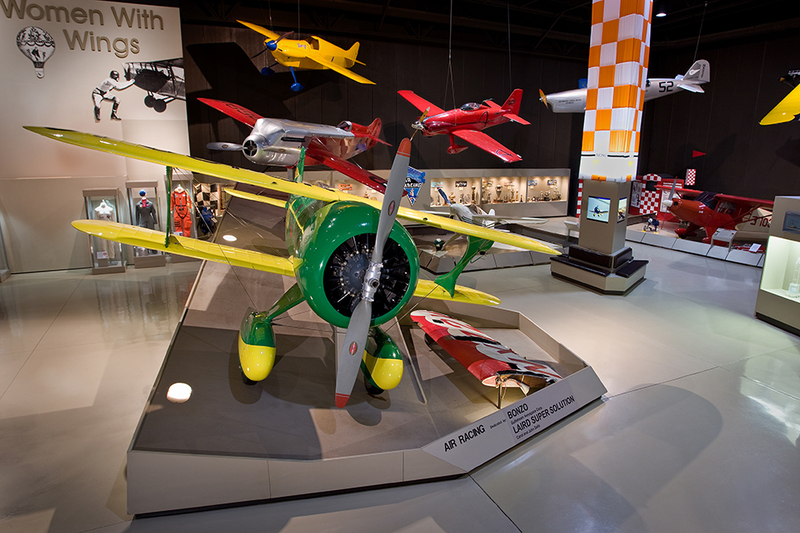 The replica was built by members of the Florida Sport Aviation Antique & Classic Association and EAA Chapter 17 in Knoxville, Tennessee. In 1974, with help from EAA headquarters, members of the two groups obtained the remains of the Laird Super Solution from the Smithsonian Institution’s National Air and Space Museum in Washington, D.C., where it had been stored since 1948. The group’s initial goal was a full restoration, but it quickly became apparent that restoring the incomplete and badly damaged airplane would be impossible. They decided to build a replica. Major components were built in Florida and in 1979 the replica was moved to the EAA Museum (then in Hales Corners, Wisconsin) for completion. The finished project was unveiled at EAA Oshkosh 1981 with pilot Jimmy Doolittle and designer Mattie Laird reunited for the occasion. 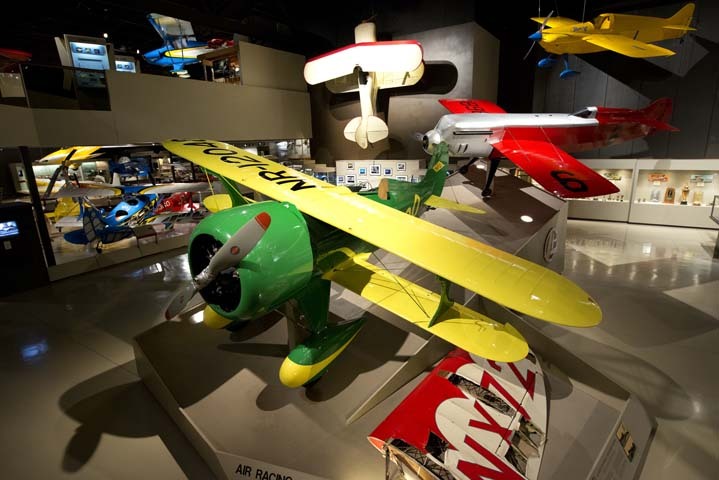 The 1930s were the Golden Age of air racing, when air races were more popular, and drew larger crowds, than baseball. E.M. “Mattie” Laird was an experienced airplane designer whose Laird Solution won the 1930 Thompson Trophy race. 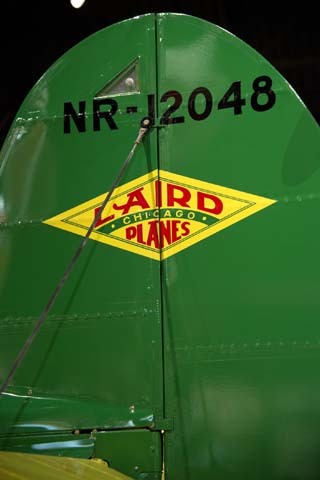 Two Laird Speedwings also performed well in the 1930 Chicago National Air Races. In mid-1931, the Cleveland Speed Foundation asked Laird to build a new airplane to challenge the Travel Air Mystery Ship, which was burning up race courses around the country. The Super Solution was based heavily on the Solution and other earlier Laird designs, but it looked like an entirely new airplane. With the Cleveland Air Races scheduled for Labor Day, work began on the racer in July of 1931 and it was test-flown about six weeks later. It needed very few changes or refinements before Laird delivered it to his race pilot, Jimmy Doolittle. The Foundation’s goal was to enter the Super Solution in the Los Angeles to Cleveland Bendix Trophy race and then, a few days later, run it in the closed-course Thompson Trophy race in Cleveland, Ohio. Laird provided two different engines for the Super Solution. For the cross-country Bendix Race, where steady power at high altitudes would be the key, the airplane would use a direct-drive engine. For the closed-course Thompson Race, a 3:2 geared-drive engine would give the best flat-out power. Both engines were highly modified versions of the Pratt & Whitney Wasp Junior nine-cylinder radial. Off the shelf, the Wasp Junior was rated at 375 hp. With high-compression pistons and “doped” fuel, both modified engines produced well over 500 hp. Sponsored by Vincent Bendix and the Bendix Corporation, the cross-country Bendix Trophy race was meant to encourage transcontinental air travel. It was an open-class dash from Los Angeles to Cleveland with a bonus prize for the airplane that could continue from Cleveland to Newark, New Jersey, and win a truly transcontinental race. Doolittle and the Super Solution won the Bendix race handily with an elapsed time of 9 hours, 10 minutes, and 21 seconds, and an average speed of 223 miles per hour—well ahead of the closest competitor. After just a few minutes on the ground in Cleveland, Doolittle headed for Newark to complete the full transcontinental flight. His elapsed time from Burbank, California, to Newark, New Jersey (2,882 miles) was 11 hours, 16 minutes, and 10 seconds, at an average speed of 217 mph. Doolittle and the Super Solution beat the 1930 transcontinental record set by the Travel Air Mystery Ship, by 1 hour and 8 minutes. Less than 30 minutes after landing, Doolittle flew the Super Solution back to Cleveland for an engine change and the Thompson Trophy Race at the Cleveland National Air Races. The Thompson Trophy Race was a 100-mile pylon race for airplanes with engines of unlimited displacement. Airplanes had to reach 175 mph in time trials to qualify for the race. With the geared engine installed, the Super Solution roared through the time trial at 260 mph, on partial throttle, but proved to be almost uncontrollable. The torque and vibration of the geared engine induced wing warping and aileron reversal at speeds above 250. The direct drive engine was reinstalled and Doolittle flew a new pre-race time trial at a scorching 272 mph. As the Thompson race began, the Super Solution took a commanding lead, but by the second lap the engine, which had already flown the Bendix race, was ailing badly. Doolittle lost the lead in the third lap to Lowell Bayles in the Granville brothers’ Gee Bee Z racer. With gauges above redline, Doolittle landed the Super Solution after the seventh lap to avoid a complete engine failure. An engine teardown revealed a scuffed piston, possibly caused by a particle of foreign matter. Even with its sick engine, the Super Solution had averaged 228 mph over the seven laps. After an engine overhaul at the Pratt & Whitney plant in Hartford, Connecticut, Doolittle flew the Super Solution to Ottawa, Canada, for another cross-country record attempt, flying from Ottawa, to Washington, D.C., to Mexico City, Mexico. His elapsed time on October 20, 1931 was 12 hours and 36 minutes, a record that stood for many years. In the summer of 1932, Doolittle and a new sponsor, Shell Oil Company, set out to modify the Super Solution to provide better forward visibility and to strengthen the wing rigging so the cooler-running geared engine could be used without warping the wings. Other modifications included a controllable-pitch propeller and retractable landing gear. The new Super Solution, looked very little like its 1931 namesake, and it was plagued with problems, including severe rudder and elevator flutter. With the date of the Thompson Trophy Race fast approaching, the Granville brothers asked Doolittle to fly their Gee Bee R-1 racer. He accepted and won the 1932 Thompson Trophy in the R-1. Shell Oil put the Super Solution in storage where it sat for years, ignored or cannibalized for parts. It may have passed through several owners before its fuselage was donated to the Smithsonian in 1948 by the Swallow Aircraft Company of Wichita, Kansas.